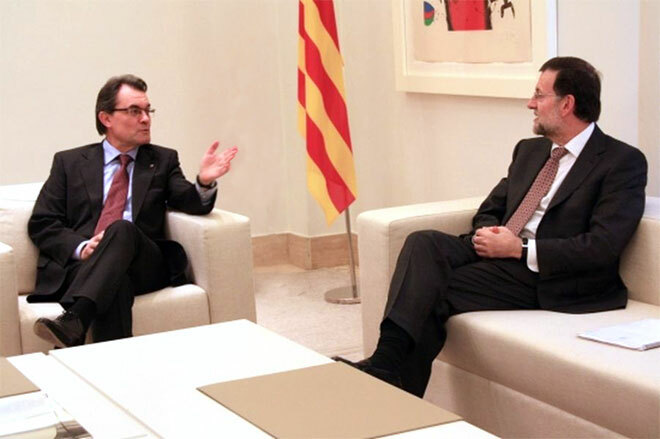 The Spanish President, Mariano Rajoy, called the Catalan President, Artur Mas, to acknowledge reception of the letter stating the willingness of the Catalan people to hold a referendum on independence. According to Presidency Minister, Francesc Homs, Rajoy said to Mas that he would answer the petition after the summer break. Homs added that the conversation between the two leaders was very short, lasting no more than a couple of minutes. Homs explained that the Catalan government is expecting Madrid’s answer to know “whether there is is a possibility for dialogue”. In an interview at the Catalan Public Television station (TV3), the Minister explained the letter didn’t express the wishes of Artur Mas, but the population of. In the letter, Artur Mas stated that there is a “need to launch talks and a negotiation process to allow, in an agreed way, the Catalan people to vote” on the issue of independence.